Dental implants are a great option for many of our patients at Cedar Park Premier Dentistry, but they aren’t right for everyone. Certain people are not good candidates for dental implants, and another option like a dental bridge may work better. The only way to know for certain which tooth replacement options you are a candidate for is to visit experienced dentist Dr. Dale Williams. A qualified dentist like Dr. Williams can examine your teeth, review your medical history and discuss other factors that can help you determine which treatment is right for you. Many people are good dental implant candidates. We’ll discuss all the things listed above and others with you, and present all of your options for replacing missing teeth and restoring your most beautiful smile. If you live in or around Cedar Park, Round Rock, Pflugerville or Austin and want to know if you are a candidate for dental implants, please contact Cedar Park Premier Dentistry to schedule a consultation with experienced dentist Dr. Dale Williams. How is Bruxism related to TMJ? Bruxism is a condition that means you habitually grind or clench your teeth. You may be doing this every day and not even be aware of it, and you may grind your teeth at night while you sleep. Bruxism can lead to aTMJ disorder because it places a great deal of strain on the temporomandibular joints. Bruxism may be caused by stress, frustration, bite misalignment and other issues. Regardless of the cause, grinding your teeth can lead to a TMJ disorder and TMJ symptoms. As you grind your teeth habitually, the temporomandibular joints can be overextended and strained, which can strain the muscles and nerves surrounding the joint and throughout your face. If you have bruxism, a nighttime mouth guard may be the right way to prevent it. The mouth guard is customized and fits over your teeth. The mouth guard prevents your teeth from clenching or grinding against one another. If you think you might be experiencing bruxism, please contact Cedar Park Premier Dentistry to schedule a consultation with our experienced Cedar Park TMJ dentist, Dr. Dale Williams. Austin Family dentist Dale Williams is a father. He understands how difficult it can be to get children to the dentist’s office. But he also understands how important it is. 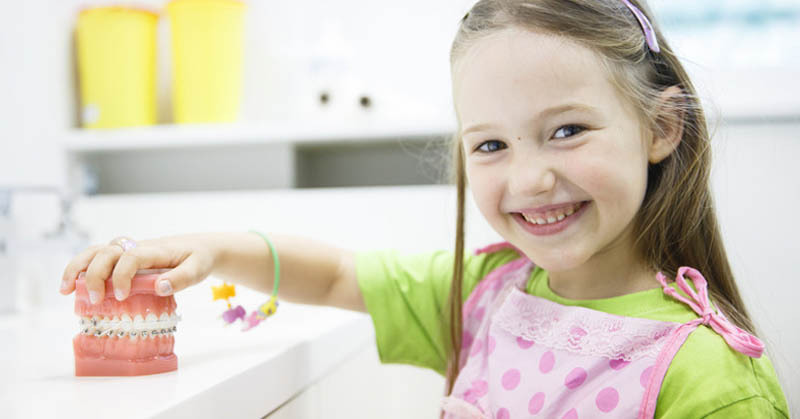 Good dental hygiene is all about good habits, and good habits are easier to develop if they begin early in life. Experts generally recommend that your child make his first visit to a dentist before he or she turns one. At Cedar Park Premier Dentistry, we start seeing children as early as four years old. That early visit at the age of one is an excellent way of starting to get your child acclimated to the dentist’s office. By the time you bring him or her to our family dentist, your child will know what to expect and understand the process. Pediatric dentistry is all about preventing problems from arising, treating any existing problems and putting your child on the right path to a lifetime of sound dental health. And it’s vital that your child’s early visits to the dentist go well. Dental anxieties, like good habits, tend to start early, and they can lead to a lifetime of unpleasant dental experiences. Our family dentist has worked hard to create an environment that is relaxing and welcoming to your child. You can trust in the care, compassion and skill of Dr. Williams. If you live in the Austin, Texas area and you’re looking for a skilled family dentist, please contact Cedar Park Premier Dentistry today. At Cedar Park Premier Dentistry, we understand that problems with your teeth don’t always crop up during normal business hours or wait for your next scheduled appointment. Dr. Dale Williams is an accomplished emergency dentist, and he can help if you’re an Austin-area resident who is suffering from a dental emergency. This is obviously not an exhaustive list of emergency problems that our dentist can address. We work hard to quickly help any patient suffering from a dental emergency. If you are in need of immediate care as a result of a sudden, severe dental problem, you can call 512-782-0821. You can count on Dr. Williams and his entire staff to give you the effective treatment you need. If you live in the Austin, Texas area and you’re looking for a dentist skilled in emergency treatments, please contact Cedar Park Premier Dentistry today. Dental problems are not uncommon, but with proper preventive dentistry you can reduce your risk of these problems. Prevention should include brushing at least twice a day, flossing once every day, and visiting the dentist for regular cleanings and exams. These common problems are often highly treatable and can be stopped before they get worse. General dentistry services such as white fillings treat and halt the problem. At Cedar Park Premier Dentistry, our dentist Dr. Dale Williams and our dental staff have the experience necessary to treat common and more complex dental problems. We can also treat common cosmetic dental problems, and can address urgent problems with our emergency dentistry services. We can help you and your entire family avoid general dental problems. We provide care for adults and children, and we are committed to helping each of our patients achieve their best oral health and wellness. For Austin-area general dentistry services, please contact Cedar Park Premier Dentistry to schedule an appointment with experienced dentist Dr. Dale Williams. Dental implants replace the missing tooth root, as well as the upper, visible portion of the tooth. 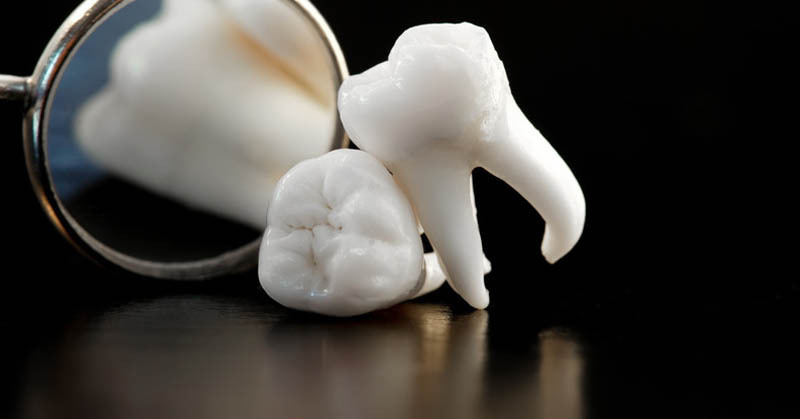 Tooth root replacement results in a sturdier, stronger replacement tooth. The root also promotes the density and health of the bone in which it is implanted. The top of the dental implant can be affixed to a dental crown, to replace a single missing tooth; or to a dental bridge, to replace multiple teeth. Dental implants are also one of the longest-lasting ways to replace teeth. Dental implants can last many years, with the potential to last a lifetime. Good oral hygiene, including flossing and regular dental visits, is key to promoting the health of the gums and tissue that support the dental implant. If you are missing one or more teeth and are interested in Austin dental implants or other options for tooth replacement, please contact Cedar Park Premier Dentistry to schedule a consultation. Choosing an Austin cosmetic dentist means you have virtually endless options. There are many cosmetic dentists in the area, and finding the right one for you is important to the quality of your dental experiences and the quality of your cosmetic dentistry results. At Cedar Park Premier Dentistry, our cosmetic dentist Dr. Dale Williams provides beautiful, high-quality results tailored to your unique goals for your smile. We provide dental care in a luxurious, state-of-the-art facility, and we have not only the beauty of your smile in mind, but also the health of your teeth and gums. Where did the dentist receive education and training, and how many years of experience does the dentist have in the cosmetic field? What advanced dental technology is used and why? Find out if the practice has photos of some of their past patients, which will show some of the results the cosmetic dentist has achieved. At our dental practice, our cosmetic dentist wants you to be able to smile confidently, and to enjoy the feeling of loving your smile. During a consultation with you, we can discuss a customized treatment plan to achieve the results you want to see. If you are searching for an experienced Austin cosmetic dentist, please contact Cedar Park Premier Dentistry to schedule a consultation. If you are wondering if porcelain veneers can create the look you are envisioning, you can schedule a consultation with Dr. Dale Williams. Our veneers consultations are complimentary, and in the consultation you and Dr. Williams can discuss the tooth characteristics you are unhappy with and what you want your teeth to look like. After examining your teeth, Dr. Williams can tell you whether veneers can produce the results you want. He can also inform you of any alternative treatments, such as teeth whitening. Porcelain veneers provide a relatively fast, painless way to get the smile you have always dreamed of. Only an experienced dentist can determine if you are a candidate for veneers. If you are interested in Austin porcelain veneers services, please contact Cedar Park Premier Dentistry to schedule a consultation with Dale Williams, DDS. Our veneers consultations are free. One of the most common questions we get at our practice is “am I an Invisalign candidate“? The first thing you should know is that many people who want straighter teeth are candidates for Invisalign. You should also know that the only way to find out if you are a candidate is to schedule an exam with an experienced Invisalign dentist. In certain cases, there may be severe bite problems that require traditional orthodontics to fix, but only a dentist can determine whether that is the case. Many cases of crooked, crowded or misaligned teeth can be treated either with Invisalign or metal braces, and Invisalign produces results without the attention-grabbing appearance of metal. To learn more about Cedar Park Invisalign treatment, please contact Cedar Park Premier Dentistry to schedule a consultation. Our Invisalign consultations are complimentary. Welcome to the blog of Cedar Park Premier Dentistry. This space will be used to keep our patients up to date on topics of interest such as evolving dental technology, as well as to provide additional information on the many services we offer. In the meantime, we encourage you to explore our website for information about Dr. Williams, our practice, and our staff. If you have specific questions or if you would like to schedule an appointment with Dr. Williams, please call us at 512-782-0821. Cedar Park Premier Dentistry is a full service, neighborhood dental practice. While we remain small enough to provide individual attention to each of our patients, we utilize state-of-the-art technology and advanced techniques to ensure men, women, and children in our area have access to the best dental services available today. We are firmly dedicated to the health and happiness of everyone we see and would love an opportunity to meet with you in person, answer any questions you may have, and help you achieve the strong and beautiful smile you deserve. If you are looking for a dentist who can meet the unique needs of each member of your family, please contact Cedar Park Premier Dentistry today. We are honored to serve men, women, and children throughout the Austin, Round Rock, Cedar Park, and Pflugerville areas of Texas.